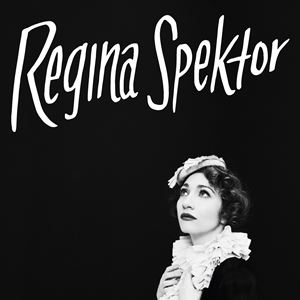 Bord Gáis Energy Theatre in Dublin, Ireland, is hosting the Russian-born American acclaimed singer-songwriter and pianist Regina Spektor live on stage on Sunday 6th August 2017 @8pm. Spektor's songs have appeared in TV shows and movies including Orange Is The New Black, the Academy Award nominated 2016 animated film Kubo and The Two Strings, Grey's Anatomy, Weeds, How I Met Your Mother, Veronica Mars, The Good Wife and (500) Days of Summer. Spektor played for the Obamas and guests at the White House and performed as part of philanthropic campaigns for Tibet, Doctors Without Borders, and many more.